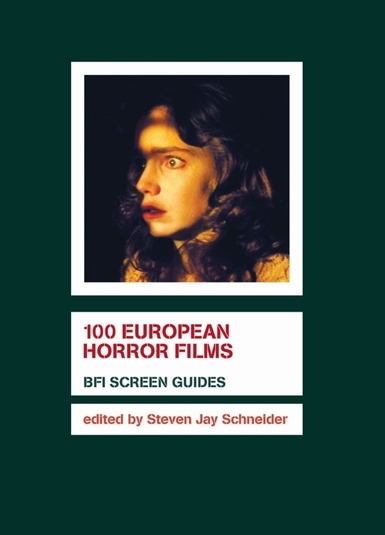 From bloodsucking schoolgirls to flesh-eating zombies, and from psychopathic killers to beasts from hell, 100 European Horror Films provides a lively and illuminating guide to 100 key horror movies from the 1920s to the present day. Alongside films from countries particularly associated with horror production - notably Germany, Italy and Spain - and movies by key horror filmmakers such as Mario Bava, Dario Argento and Lucio Fulci, 100 European Horror Films also includes films from countries as diverse as Denmark, Belgium and the Soviet Union, and filmmakers such as Bergman, Polanski and Claire Denis, more commonly associated with art cinema. The book features entries representing key horror subgenres such as the Italian 'giallo' thrillers of the late 60s and 70s, psychological thrillers and zombie, cannibal and vampire movies. Each entry includes a plot synopsis, major credits and a commentary on the film's significance, together with its production and exhibition history. Films covered in the book include early classics such as Paul Wegener's The Golem, Robert Wiene's The Cabinet of Dr Caligari and Murnau's Nosferatu, 70s horror favourites such as Daughters of Darkness, The Beast and Suspiria, and notable recent releases such as The Devil's Backbone, Malefique and The Vanishing.